I am currently the founder/Chief Operating Officer at IQCAIS, a Chennai-based Startup focussing on NDT (Non-Destructive Testing) solutions and products. I have been associated with NI for nearly 20 years from the time I was a graduate student doing my PhD at Purdue University to now using LabVIEW as the engine for our spectrum of NDT products. It has been quite a journey from trying to get a parallel poll working on a GPIB to control a fatigue testing machine to developing a full-fledged automated ultrasound system which was recently recognized as the GSD award winner in the Planet NI category in 2012. 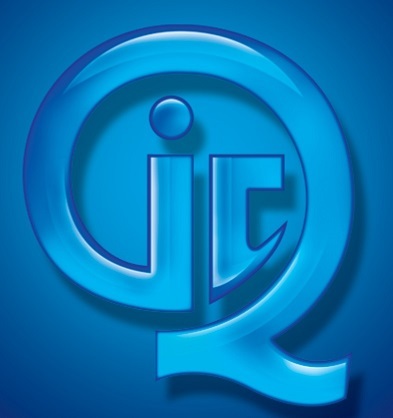 After stints at Cummins and GE, I started IQCAIS in 2007 to create product based solutions in the NDT industry to meet the growing need of the manufacturing industry to deliver ever increasing production volumes with the highest quality. The journey has been very rewarding but very challenging as high-tech electronic device design in India was very nascent. Getting solutions to design problems was either time-consuming or too expensive or frequently both. One aspect that helped us immensely here was the NI SME program, giving us access to software rapidly and at nominal cost, a boon to a startup! As an example, we got additional licenses of LabVIEW to enable concurrent development and evaluation of multiple concepts, to arrive at the optimal solution in the fastest time. In an economy such as India's, funding sources, be it private ventures or myriad government options, are easier to tap into once there is some proof of concept. Since this in turn requires resources, the benefit of the SME program in UPFRONT cost benefit is immensely useful in sustaining the organization till large resource options can be tapped into. We have used LabVIEW (with application builder), the mobile module, FPGA module and RT module over the last few years to build a state-of-the-art eddy current based test system that does not require high skill level of the operator. We also built and deployed a full-fledged ultrasound test system for petroleum pipes upto 12 m in length and 0.7m in diameter to test for cladding and debonding defects as small as 1mm in diameter. The developers on this project have been hugely motivated by NI's recognition via the Planet NI GSD award in November 2012. IQCAIS is now poised to release these products for eddy current, ultrasound, infrared, acoustic emission testing with the confidence that our technology base is very sound. The support of our partners including NI has been pivotal in getting to this important milestone after nearly five years of hard work. LabVIEW E.N.A.B.L.E.D is a fantastic concept to enable rapid sharing of ideas and experiences, particularly with the local flavour. It is always a good idea to meld the experience of industry veterans with the sheer aura of invincibility that young programmers seem to radiate to solve problems. I have experienced first hand, when I first started with LabVIEW, how hard it is to have a problem and have no one to quickly ask for help. A community forum is very useful for the beginners to not get frustrated by getting answers from other people just like them.